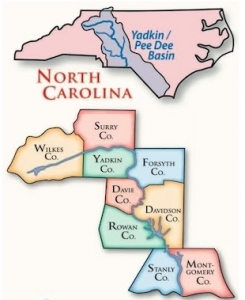 This post has been updated to include a comment from the Yadkin Riverkeeper. 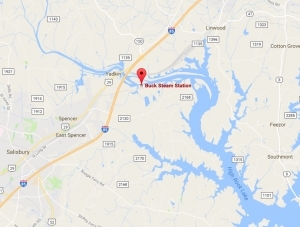 Independent laboratory testing indicates that parts of the Yadkin River near the Duke Energy coal ash pits in Salisbury are contaminated with arsenic more than four times higher than surface water safety standards, according to an announcement released by the Southern Environmental Law Center late this afternoon. The samples were taken next to Duke Energy’s leaking coal ash ponds at the Buck Steam Station site. Duke Energy did not respond to an email to its communications department this evening. Maximum levels of arsenic — a known carcinogen — set by the EPA and DEQ, are 10 parts per billion. Some sampling, taken Aug. 23, showed levels four times that amount. The limits are established by the EPA and DEQ as part of their 2b Surface Water Quality Standards. 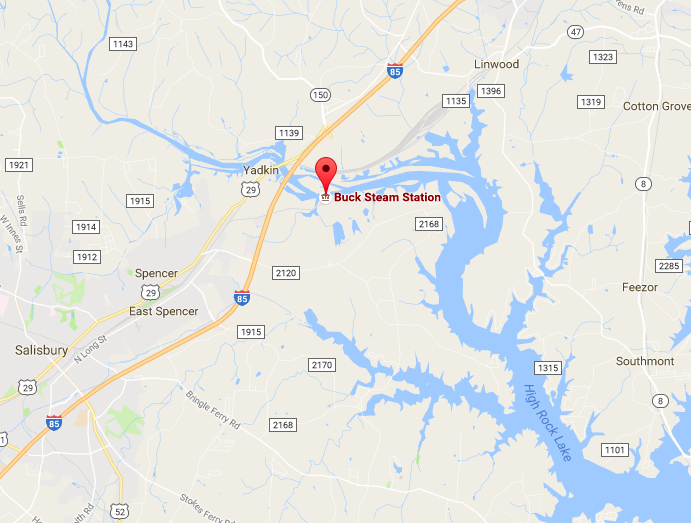 The lab, PACE Analytical, was contracted by the SELC, the firm representing the Yadkin Riverkeeper and the Waterkeeper Alliance in lawsuits against Duke Energy. Based in Huntersville, PACE is a well-known lab and has provided private test results in other cases of suspected water contamination to the N.C. Department of Environmental Quality. Seepage at the base of Duke Energy’s coal ash dams flowing into the river also high levels of arsenic, the SELC says, as much as five times the 2B standard. Other pollutants detected in the river include elevated levels of aluminum, copper, and lead. In its entirety, the Yadkin River provides drinking water for more than 734,000 people.